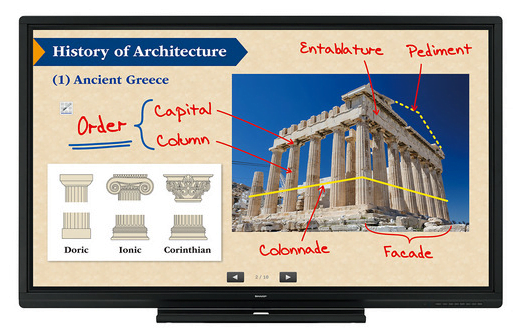 The Sharp BIG PAD PN-70TB3 and PN-70TW3 70” interactive touchscreen devices are designed for effortless communication in a wide range of environments from corporate through to education. 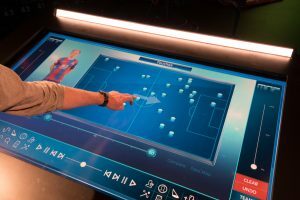 At the larger end of the range of interactive touch screens, these devices are suited to sizeable classrooms and boardroom environments, where audiences are of considerable size. The BIG PAD range of interactive touchscreens provide the best environments for effective collaboration. They are designed to make business meetings or lessons all about communication and audience participation. Share ideas quickly and clearly – not only by writing on the boards with Sharp’s Pen Software, but by using Touch Display Link software to interact through laptops and other mobile devices. Recognising up to 10 points of contact, the PN-70TB3 and PN-70TW3 multi-touch 70” interactive touchscreen devices allow up to four people to write on the screen at the same time using touch pens or fingers. Participants can take an active part in meetings, brainstorming sessions, classroom interactions, and more. Discussions and presentations become platforms for effective and lively exchanges of opinions, engaging debates and explorative work planning meetings. With built-in handwriting recognition, you can convert onscreen handwriting into standard text, a convenient function that allows you to utilise onscreen handwritten content to create legible meeting minutes and mark-ups. Sharp’s Display Connect software supports effective communication. Any content shared on the BIG PAD, including handwritten notes and annotations can be viewed in real-time on mobile devices such as laptops, tablets and smartphones. Up to 50 mobile devices can be connected at any one time, and files can be exchanged between mobile devices. The two devices are very similar, with only a few slight differences. They both use standard bonded glass, they can recognise the difference between using a pen and a finger, as well as being pressure sensitive, so the harder the user presses on the screen, the thicker the line. The only main difference between the two devices is that the PN-70TW3 has the electronic pen as standard. The PN-70TB3 has it as an option. Additionally, the PN-70TW3 allows wireless casting, which connects up-to 10 devices to the screen, removing the need for the Sharp Display Connect software for smaller groups of people. An additional feature is the 4 input split screen. 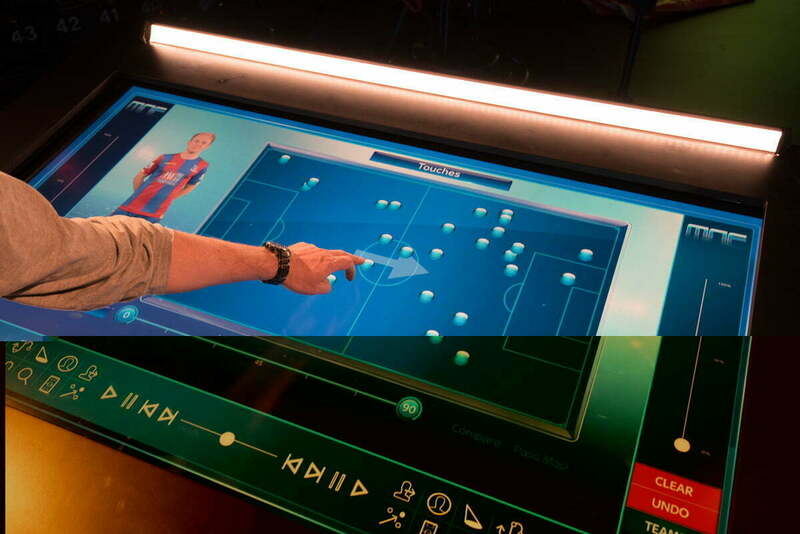 The Sharp BIG PAD PN-70TW3 is used by Sky Sports as their ‘tactics table’, enabling the show’s pundits to digitally re-create key moments in games and manipulate graphics on-screen to show their recommended tactics. Due to its pen-on-paper functionality, the BIG PAD allows a natural experience that is very similar to using a tablet or smart phone. It is also very easy to manoeuvre, thanks to the in-built carry handles, making it invaluable to the corporate broadcasting solution, as it can be moved around quickly and easily.